Hurtling at speeds close to 40,000 mph ( aka 11 miles per second !! 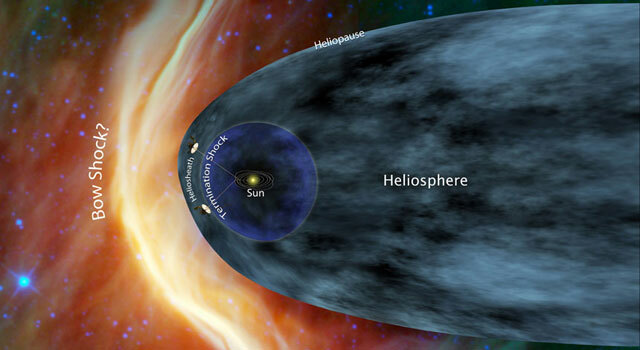 ), the Voyager spacecrafts are in their 37th year of space travel. Acting as a $422 million dollar ‘bottle’/vessel, the Voyager space vehicles have a very special interstellar message as their cargo. Packed within a small hold aboard both Voyager 1 and Voyager 2 are golden LP size records with a stylus / needle to play them with (pictured above). 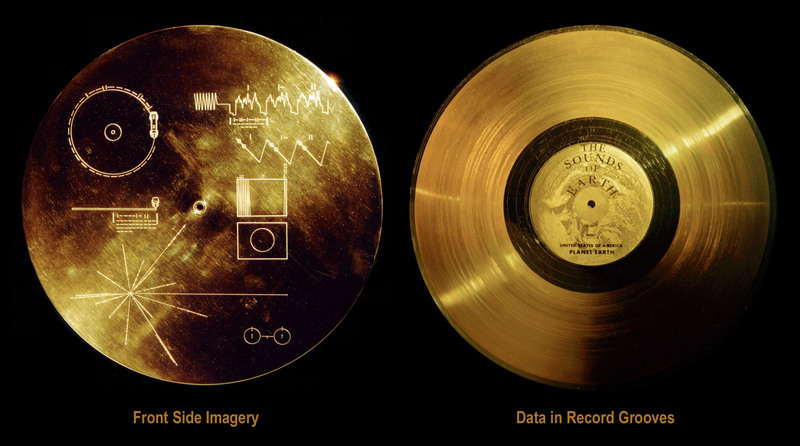 Included on the gold-plated copper records are audio greetings in 55 languages, sound effects of the earth (thunder and such), 27 musical tracks from different cultural backgrounds, and analog encoded images of Earth and its denizens. 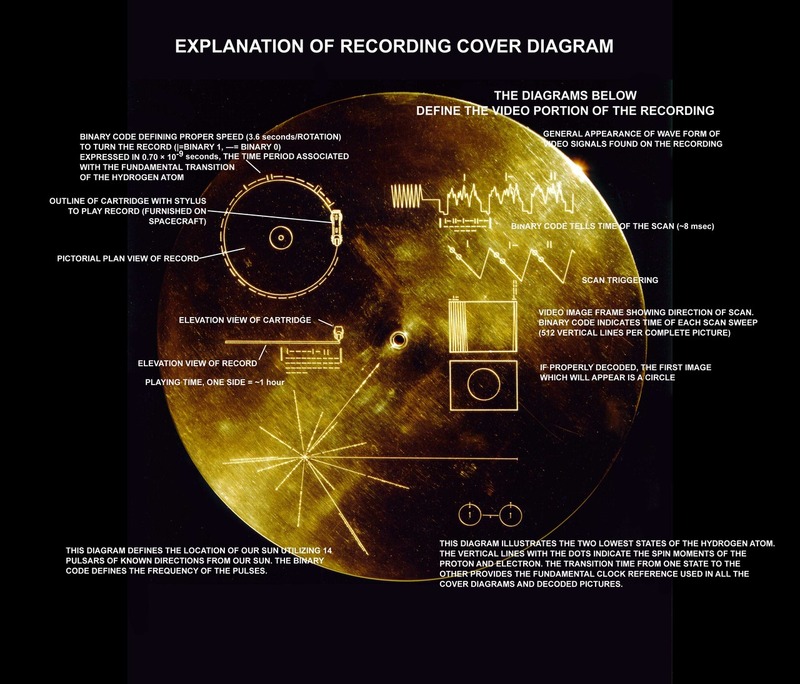 Below you’ll view the ‘user-manual’ on how to work the record and needle – hope those are some highly-intelligent extraterrestrials! As a NASA mission headed by Carl Sagan, the Voyager missions also were equipped with cameras and other instruments to collect video and analysis of a variety of space matter. Some of the video footage taken from the Voyager missions can be seen here in an older post about stellar views of Saturn. Below is a playlist of the audio sections inscribed on the golden disc. The entire cost of Voyager is a fraction of the daily interest on the U.S. national debt.